Launch of 20 Midtown – extensively refurbished office building to let! 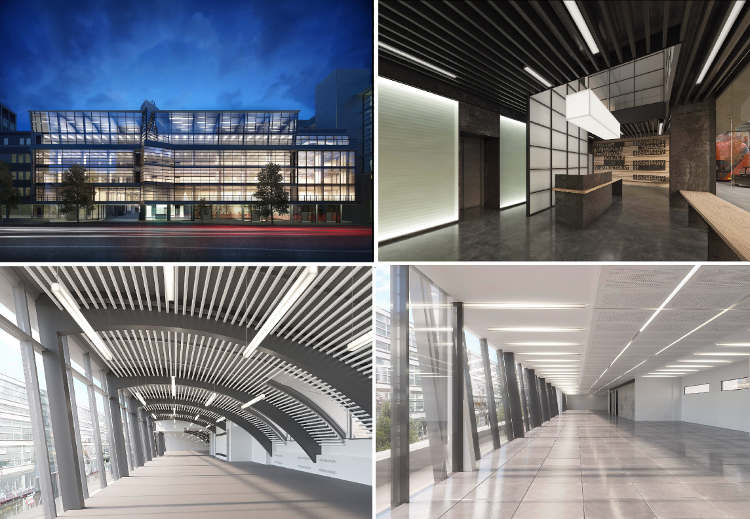 20 Midtown is currently being extensively refurbished, remodeled and restyled to provide stunning, highly efficient & flexible office space in the heart of Holborn, London’s new creative core. Designed by award-winning architectural practice HUT, the building in central Midtown offers 23,550 sq. ft. behind a striking glass façade, providing an impressive, newly configured reception with partial double height and stunning open plan offices. Flooded with natural light, the space available is arranged over the first to fifth floors, each being completely unique with inspiring views. Ranging from 4,910 – 23,550 sq. ft., the offices on offer will benefit from a wide array of amenities including new WC and shower facilities, new air conditioning, new feature signage, metal cladding, LED lighting and a roof terrace. Midtown has attracted some of the world’s largest occupiers and at the same time is seeing a significant inflow of innovative start-ups. A stroll through the area will have you passing the offices of Google, Skype and Yahoo alongside corporate names such as Deloitte and Goldman Sachs. Leisure ventures such as Gymbox and Rosewood Hotel are also nearby. Clusters of creativity are emerging with the ever-expanding TMT sectors, sitting alongside the likes of Warner Brothers, Mindshare and MediaCom, making Midtown the perfect home for creative, tech and corporate occupiers alike. With all roads leading to Midtown and huge investments in infrastructure and transport links, the area can also expect further regeneration and an increased capacity. Crossrail is opening n 2018, bringing more demand – some 100,000 people are set to use Tottenham Court Road station every day. Similarly, Farringdon will be the only station where Thameslink, Crossrail and tube services meet, as well as providing direct links to three of London’s major airports. Around the corner, Holborn station is also set to undergo a major refit in early 2020s meaning that altogether, Midtown is about to become more connected than ever before.